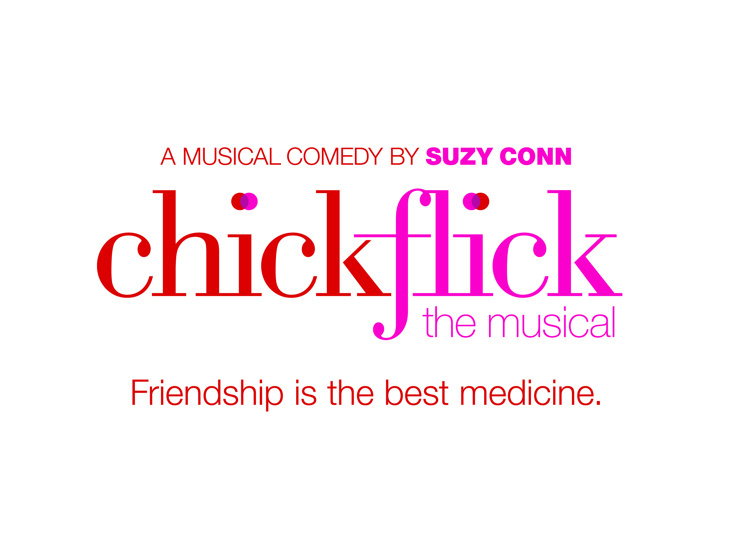 Production art for "Chick Flick the Musical"
Chick Flick the Musical, a new tuner penned by Suzy Conn (Suffra-Jets), will debut off-Broadway at the Westside Theatre beginning on February 21. David Ruttura will direct and Sarah O'Gleby will choreograph the musical comedy, set to officially open on March 7. Chick Flick the Musical invites audiences to join Karen, Dawn, Sheila and Meg as they get together to unwind, watch a chick flick and play their favorite drinking game. Casting will be announced in the coming weeks. Chick Flick the Musical is scheduled to play a limited engagement through June 29.